Abigail's Pins is named after First Lady Abigail Adams. I also named my fabric collection Pin Money in her honor. Abigail asked her husband, President John Adams, to buy lots and lots of pins and needles for her while he traveled to Europe on State business. When he returned with these items, Abigail would sell them locally (because they were scarce here) for a bit of extra money she called her "pin money"! That phrase stuck and became very well known...so much so that it was included in stories, articles, and even song lyrics decades later. Abigail's Pins can be made in two sizes: The large quilt measures 82" x 94", and the smaller version measures 59" x 71". I made it using all of the fabrics from two of my fabric collections (Marcus Fabrics): Pin Money and Prairie Wovens, Dobbies & Chambray. 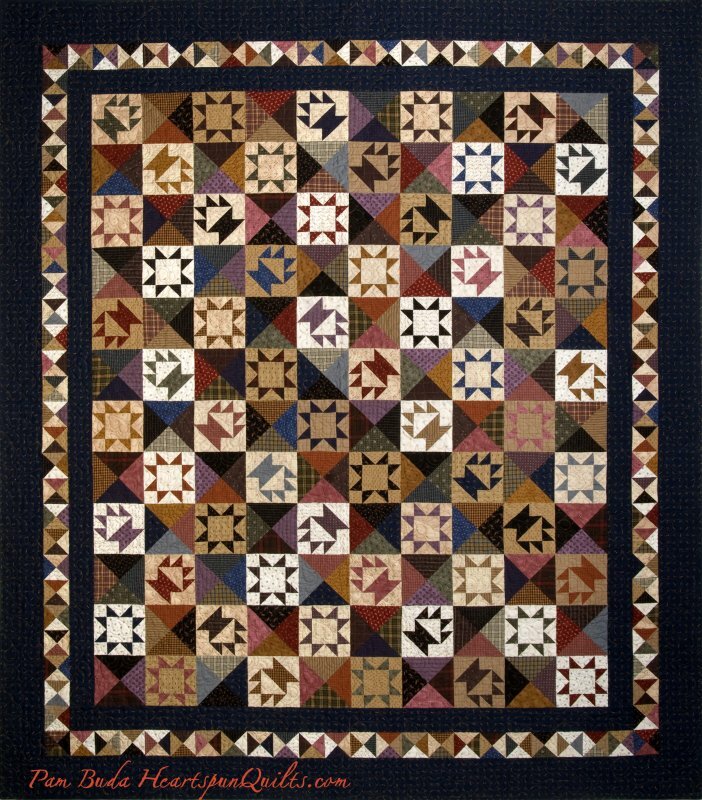 It features Sawtooth Star blocks, Cake Stand blocks, and Quarter Square Triangle blocks, all with rotary cutting and modern piecing techniques!